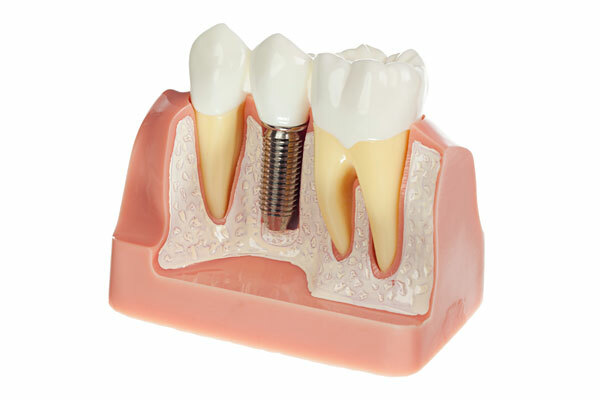 Dental Implants are on the cutting-edge of tooth replacement technology. Dr. Sandak is dedicated to providing his patients with optimal solution to their dental health needs, which is why he often recommends dental implants. Losing teeth can be a traumatic experience. He is here to help his patients regain their smile and confidence back. There are also important health reasons to replace missing teeth with dental implants. Once a tooth is lost, several things begin to happen that are not immediately noticeable to a patient and which can have a significant negative effect on both health and appearance. Tooth roots not only help to hold teeth in place but they are also critical in maintaining health in the surrounding gums and supporting bone structures. Once a tooth is lost, the jawbone starts shrinking. 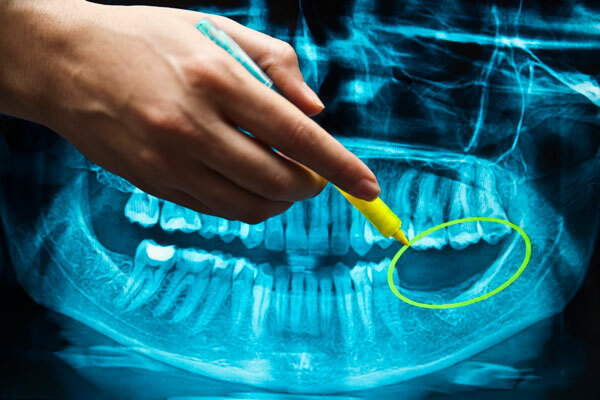 This bone loss can compromise the integrity of neighboring tooth roots and tooth stability and cause the “sunken” look which appears in people who have lost several or all of their teeth. Dental implants help maintain and strengthen bone structure. This means they do much more than replace the missing tooth – they also protect the adjacent teeth by preserving the bone structure. 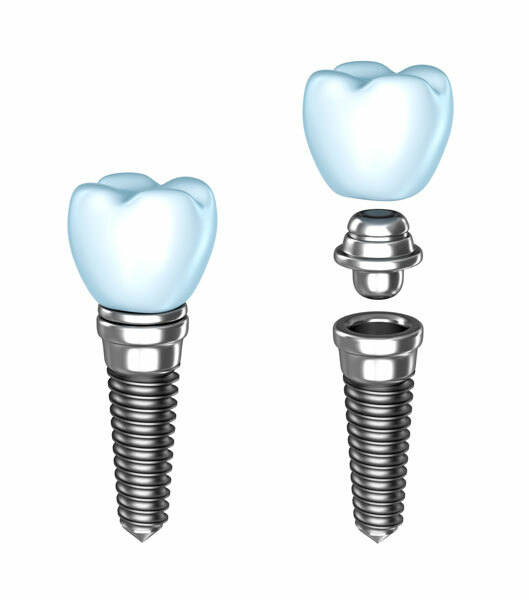 Dental implants are small anchors made of titanium that are placed in the jawbone replacing the tooth roots. Once placed, the anchors begin to fuse with the bone over the course of a few months. 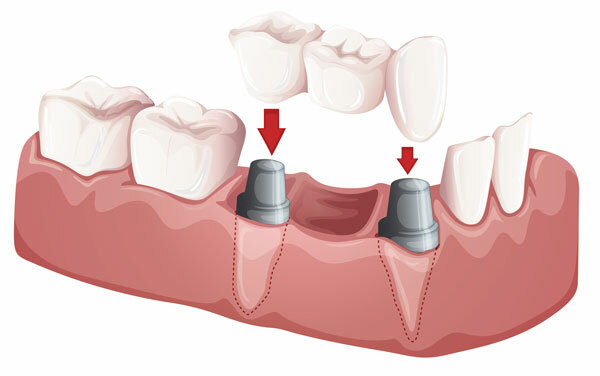 After the fusing process, known as osseointegration, abutment posts are inserted into the implant to allow for the permanent attachment of the crown (cap). Before the Implant era, when a tooth needed to be extracted or a tooth was already missing, the adjacent teeth were cut down and were replaced with a “bridge” or they were replaced with removable dentures. In today’s world of implants we do not need to cut down two healthy adjacent teeth to replace a missing tooth. We can place implants to replace the missing tooth roots. In addition, implants can replace multiple missing teeth either as a bridge or to anchor a denture. 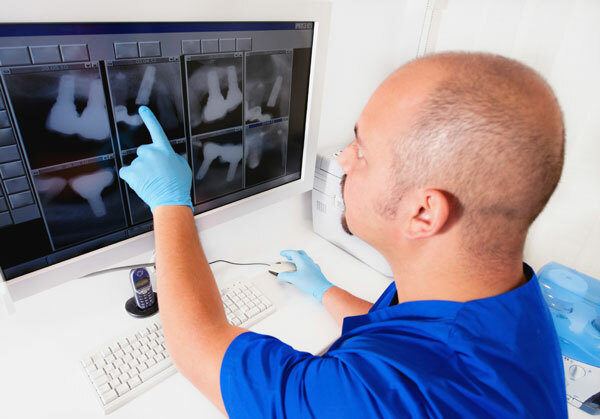 In addition, once a tooth is lost, bone loss frequently occurs. Placing an implant helps maintaining the bone and prevents further bone loss. An implant Supported Bridge is a restorative solution for spaces where two or more adjacent teeth are missing without compromising the neighboring teeth. 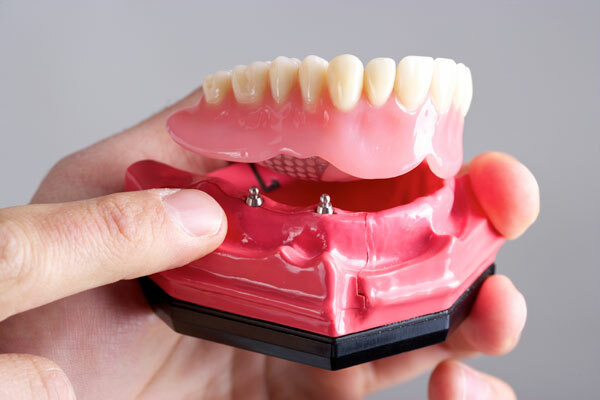 The bridge replaces multiple missing teeth without the use of a denture. This restoration typically requires two implants to support the porcelain bridge. The bridge provides a functional and aesthetic replacement for the patient’s natural teeth. Easy to care for, this solution can simulate the look and feel of natural teeth and stay fixed in place with the implants acting as anchors. Patients will not experience the typical rocking, movement or gum irritation associated with dentures. In certain cases, teeth can be removed and replaced by implants the same day. A custom temporary will be placed the same visit. The patient can leave the office with a full smile, created to fit their individual face shape, lips and smile line. 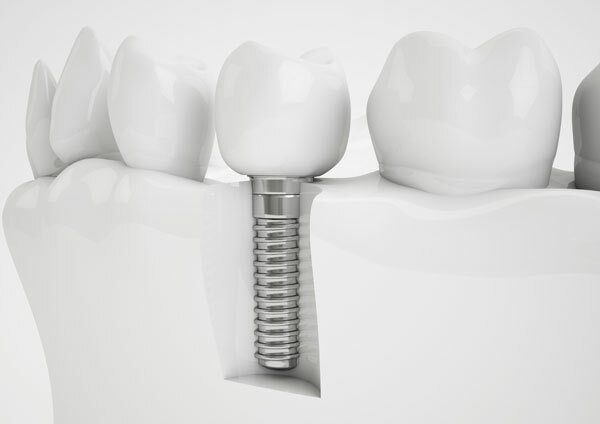 After the implants have had a few months to fuse to the jawbone (a process called osseointegration), the patient will return for the removal of the temporary restoration and the placement of the permanent crown. Straumann® Pure Ceramic Implants offer our patients a metal free, superior solution to traditional titanium dental implants. Ceramic implants are ideal for patients with a thin gingiva biotype who require unique treatment options to ensure optimal success. 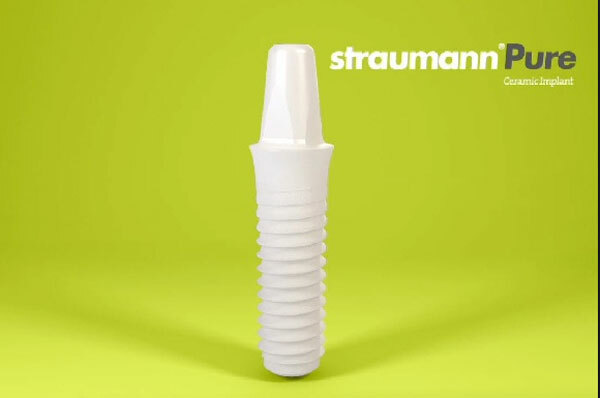 For more information on Straumann® Pure Ceramic Dental Implants, please click below.